St. Vincent's HealthCare, Jacksonville, Fla., has named Moody Chisholm Jr. as its new president and CEO, effective April 5. Chisholm will succeed interim president and CEO Howard Watts, who will remain with the organization during the transition. 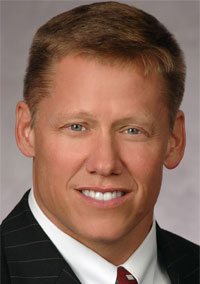 Currently, Chisholm is the CEO and group director of Manatee Healthcare System in Bradenton, Fla., which includes Manatee Memorial Hospital and Lakewood Ranch Medical Center. He holds bachelor's degrees in economics and business administration from Appalachian State University and an MBA from Nova Southeastern University. His other experience includes serving as group director for Universal Health Services North Central Region, and as CEO of Northwest Texas Healthcare System of Amarillo. He has been with Universal Health Services for 23 years. Founded by the Daughters of Charity in 1916 to provide healthcare to the sick and poor of North Florida, St. Vincent's HealthCare is part of Ascension Health.